Let's start as I stepped off the plane in Amsterdam when I went to pick up a Dutch SIM card for the smartphone. Compared to a few years ago, there are a number of prepay packages that include usable data bundles. Two examples; Vodafone NL have 100MB of data and 100 minutes for €10, while Ortel offer 100MB of data for €7.50. Schipol Airport has a mobile phone shop, so before even leaving the building I was going to be connected. In practice it wasn't that easy. First of all, I forgot that the HTC 8X uses a micro SIM card. The card in Ortel's bundle (Vodafone was out of stock) was a regular sized SIM and I didn't think to ask the store to cut the card while I was there. It was a simple matter to pop into another store in central Amsterdam the next day to borrow a cutter, but a touch annoying. With three different SIM card sizes in active use at the moment it's a timely lesson to check while you are still in the shop. Next up, getting the chopped SIM card into the 8X. The designers of the 8X allowed for a SIM tray to be used, but to eject the tray you're expected to use the SIM removal tool in the retail packaging. Without that tool I'm left with the old standby of either trying to find a paperclip to unbend, or use the small cleaning rod in my Filofax's pencil as an ejector pin. Up till now it's been my memory to blame, but now was the first fail on the part of HTC. 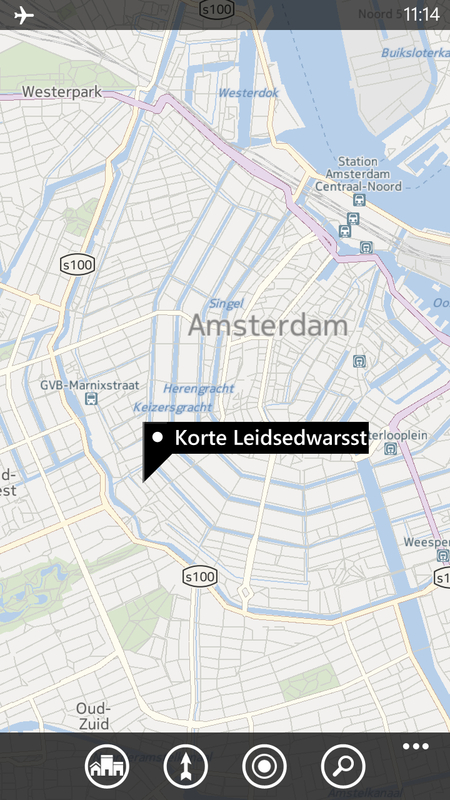 The built-in 'Connection Setup' app did recognise my location as being in the Netherlands, and also the Ortel Mobile SIM card, but failed to set up the data connection - specifically the APN had to be entered manually. I know that I can use the Apple iPhone APN details in Ortel's little pamphlet, but that's not obvious to everyone, and besides, the point of HTC's connection app is that you shouldn't need to worry about this. Looking over the whole trip and my week before that around Edinburgh with the HTC 8X, I can take a good swing at my thoughts on the battery life of the unit. Normally when travelling I would use a standalone MP3 player for my musical accompaniment, but for this trip the 8X was pumping out the music from my door until I reached the hotel, with some navigation, picture taking, email, and browsing along the way. That trip took out around 70% of the battery power, and I think I'm happy with that sort of level. It's not a stunningly long battery life, but neither is it unworkable. In fact it's in roughly the middle of my expectations of the average smartphone. Charging through a mains AC adaptor was rapid, but charging via the USB port on my laptop felt like it took a lot longer than I would expect with this size of battery. Of course, any day to day use of a Windows Phone is going to rely on Microsoft's mobile OS as well as the HTC hardware, and there are a few points that I appreciated that may not have been highlighted before in the AAWP reviews. The first is the addition of offline maps. Tucked away in the settings option of the Maps application is the ability do download mapping data and store it locally on the handset, which is a great bonus when I travel. It's on a country by country basis, and is a simple matter to delete or update the maps you are carrying. 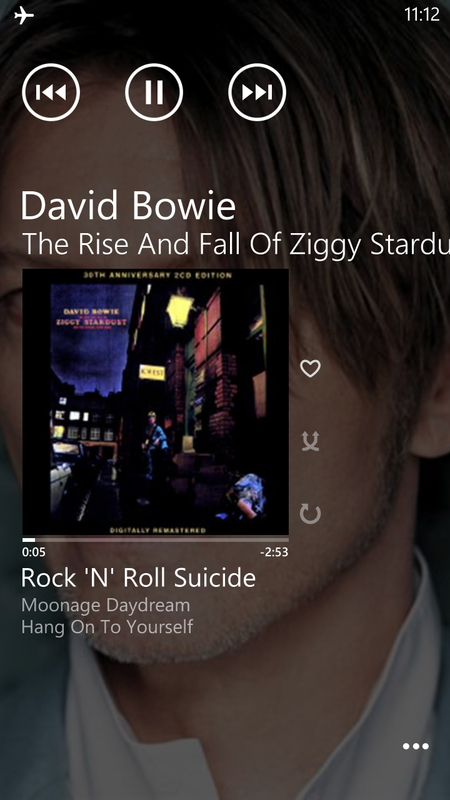 The second is the live tiles, and specifically the three new sizes of live tiles and the countless ways these can be rearranged on the home screen. For all the options that are available, and I've made some crazy patterns with the wide, regular, and small tiles, it has become too much of a distraction and I've moved back to a much more regular pattern based on the medium sized tiles being lined up with each other, and the occasional 2x2 blocks of the small size of tiles when I just want some icons to launch applications very quickly. 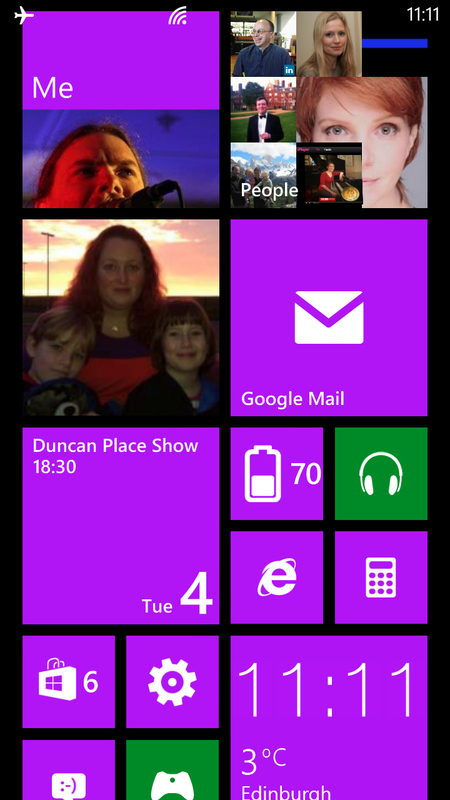 Outside of the obvious UI launcher changes, Windows Phone 8 is a subtle evolution of Windows Phone 7. App compatibility is there, but not perfect (especially noticeable in the world of mobile gaming). That said, the applications I wanted to use, to make best use of the 8X while reporting, were the ones that many will reach for as they pick up the handset - Twitter and Facebook. As an end-user, there is very little difference between these apps running on WP7 and WP8. Certainly Facebook's client has been updated with Windows Phone 8 support, including the fast resuming of the application when it is tombstoned in the background. While the increased CPU speed does make a slight difference to these applications as you move though them, it makes the ongoing issues with reconnecting to Wifi much more noticeable. A fix for the long resumption time to reconnect to a network after the lock screen is cleared has been promised, and I suspect that, like many areas of Windows Phone 8, there was a deadline that 'could not be passed' for any fix and this issue is the wrong side of it - hence it'll be coming along in an over the air patch in the near future. To be fair, I am already pretty well versed in the Windows Phone way of doing things, and the jump from WP7 to WP8 was a very very small one, and while there are a number of reworked settings boxes and the occasional item being moved around (for example flight mode has been demoted in the global settings app, as has the battery saver mode), nothing has been removed. The core applications are all there, and in fine fettle. The regular user coming to Windows Phone 8 will never be aware of the many changes from Windows Phone 7 purely because things look roughly the same. Under the hood, there are of course huge changes to the code base, new APIs and tools for developers, different architecture, and so on, but (like an iceberg) all those changes are out of sight. That's no bad thing, and continuity of platform for the end-user is a good thing. But it also shows how much work there is to be done to sand down the edges of Windows Phone, because there are a number of small flaws in the built in apps across the board, even if everything could be said to at least 'work' at the moment. There are plenty of rough points in the system that need the attention of Microsoft. I'm not sure if there are any showstoppers in the 8X's hardware (although many people will say that about the lack of any microSD card storage on the signature device, especially when the mid-range HTC 8S will support the cards), but Windows Phone can get the basic job of smartphoning done just as well as any other platform. 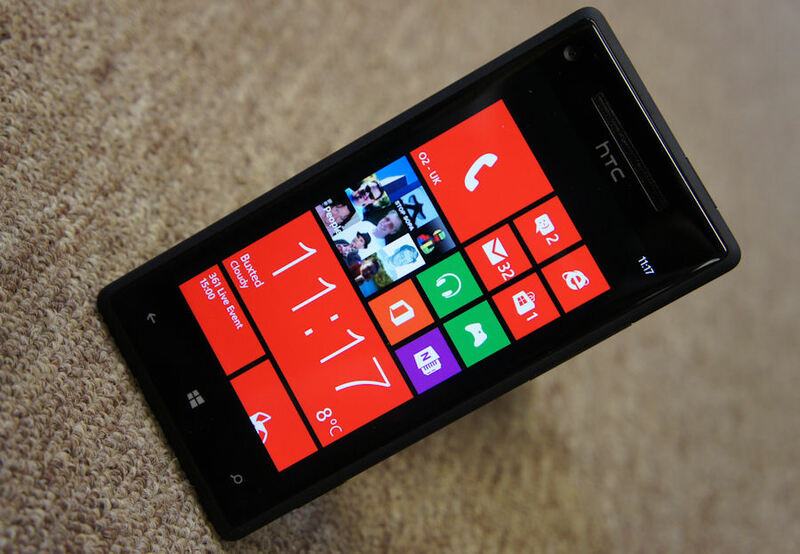 I'm still not sold on the physical shape of the HTC 8X. While I appreciate the styling, I've get to feel comfortable holding the device in my hand. It's very much a personal preference, as I know that Rafe was more than happy with the edges and curves for his part of this review. 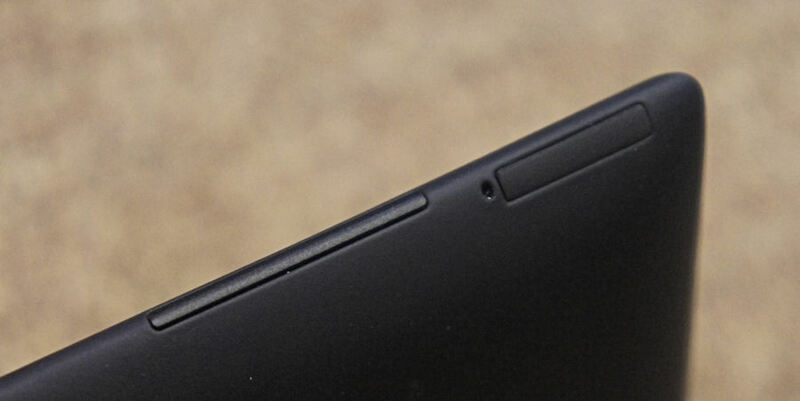 What's contributing to this feeling is the lack of any guidance to the physical buttons around the edge of the handset. After two weeks I still can't automatically find the power button, or even feel in my hands if I am holding the phone the right way up without looking down at it. A minor annoyance, but one that continues to catch me out. HTC's 8X is a nice piece of kit as well. The specifications match those of competing smartphones on other platforms, and while the battery capacity is slightly down (even compared to the other Windows Phones 8 handsets), it will get you through the day and into the evening. If you feel like living dangerously then it'll probably last the night as well, but no more than that. The 8X feels like a well put together phone, it has a modern feel to it, and the specifications required by Microsoft have ensured the 8X can be compared to the best of the other platforms without being embarrassed. It's just missing that certain something to make it stand out for me as a strong choice. That's not to say the 8X is a weak choice, because it's not. There's a lot of love for HTC's signature Windows Phone. But on a personal level I've not managed to make the same emotional connection to the 8X over two weeks that I have done with other smartphones. In store, I'd be looking at other handsets, but as a tool the HTC 8X does everything I need it to do, and I would have no issues in using it as my day to day phone.